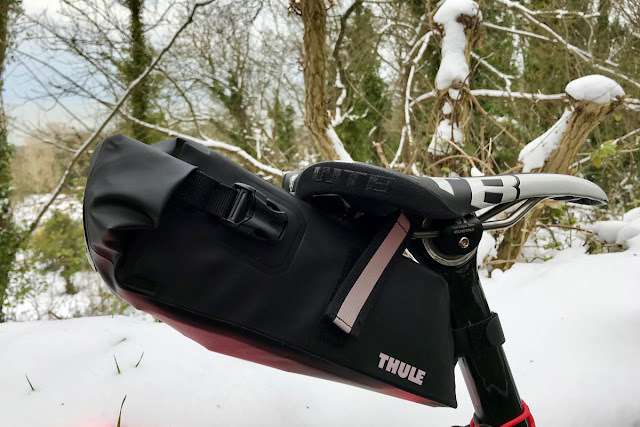 Thule bags are always superbly made in my experience: from the Thule Crossover Carry-On Bag, to the Thule Shield Panniers. 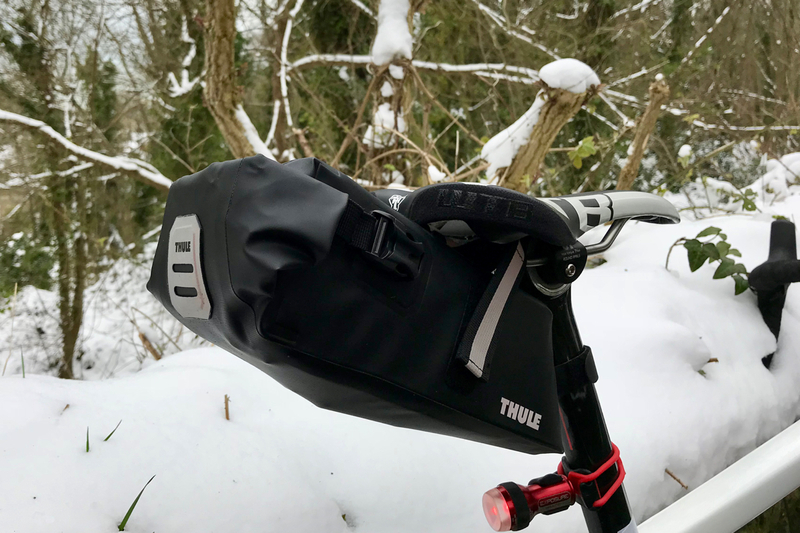 With that reputation of quality and durability in mind, I selected the new Thule Shield Saddlebag as my 'adventure bike saddlebag' of choice. 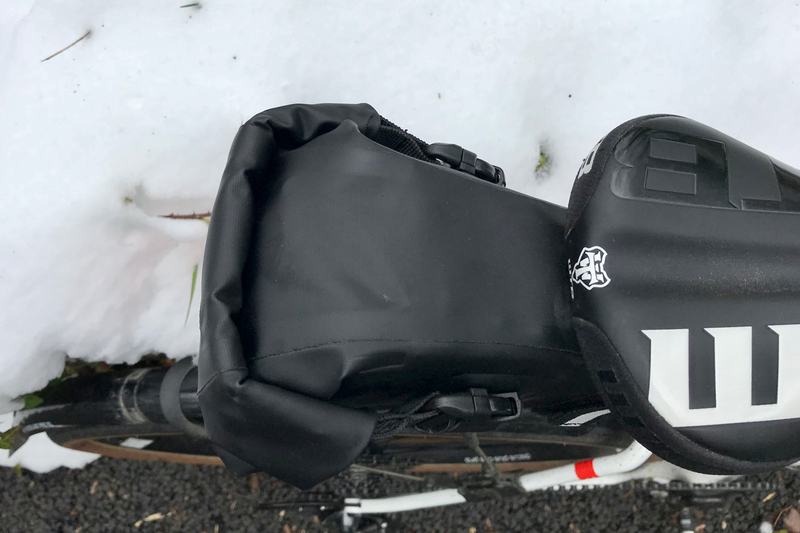 The aero wedge shaped waterproof saddlebag is not an overly complicated or intricate design from Thule, but it is faultlessly made, and built to last. The bag attaches to the saddle rails and seat-post using strong Velcro straps, with reflective trims for added safety. The opening and closing mechanism on the bag is a simple roll-top design, which coupled with the strong welded waterproof nylon gives the bag an impressive IP54 waterproof rating. Unlike with many larger saddlebags, I have experience no swaying or thigh rub from the Thule Shield Saddlebag. It seems to attach firmly to the saddle rails, and keeps its contents safe and secure. The quick release buckles are strong and very good quality; and there are some nice additional touches to the design, like the light loop and a key chain clip inside. 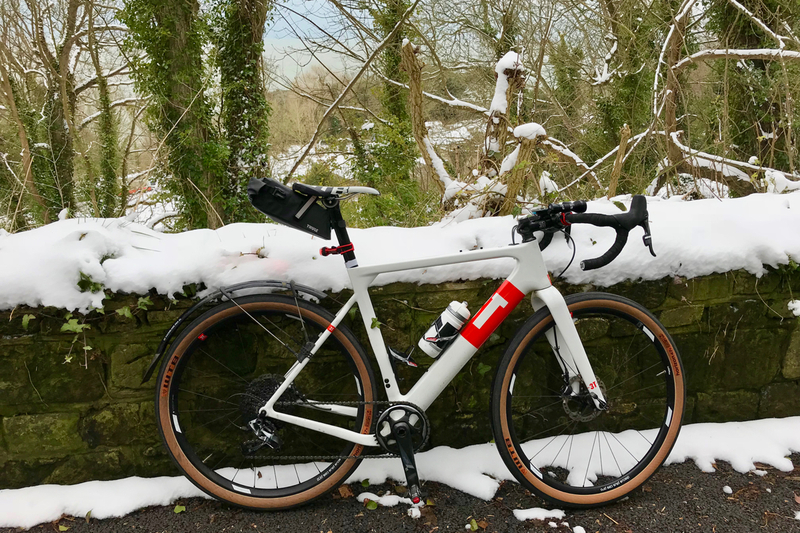 Big enough to hold two mountain bike tubes, a multi-tool, tyre levers, spares, and a small bottle of lube; this is a real adventure saddlebag. Despite that cavernous capacity though, it still looks smart and sleek on the bike. A saddlebag built for adventure, daily use and abuse, and for any kind of bike. This is another winning design and quality product from the Swedish brand.